Coming into the year few people knew the name Kailey Fox. The junior transferred from the small town of Peotone, IL to Yorkville, IL last winter. During her time at Peotone High, she put up ok times, but nothing that stood out. With times like 19:39 for three-miles and 2:37 in the 800m, it looked as if Fox would be lost in the shuffle on her new powerhouse team. But this transfer ended up becoming a great surprise for coach Muth and the Yorkville team. During the track season, she put up some solid times on the oval, a slight indicator of what she was truly capable of, running a 2:28 in the 800m and 11:11 in the 3200m. She really blossomed this xc season as she was consistently a top three runner for the lady Fox's. She ran lights out all year long and ended up taking 10th at 3A State. That is an almost unbelievable jump when you consider she took 88th place in 1A last year. She improved by nearly three minutes, was a key member of a national qualifying team, and grabbed her first all-state honors this year. 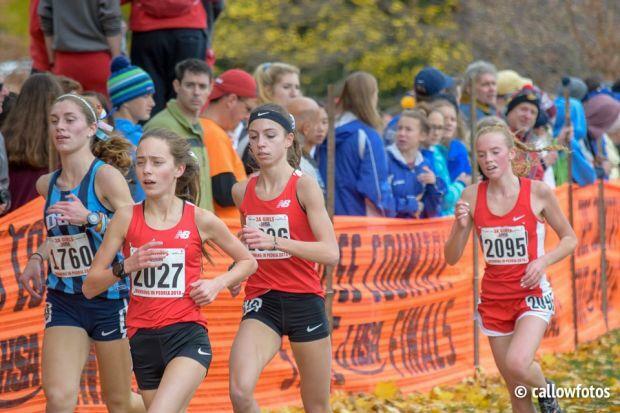 Congrats to Fox as she is the 2018 Milesplit IL Girls Breakout Runner of The Year!